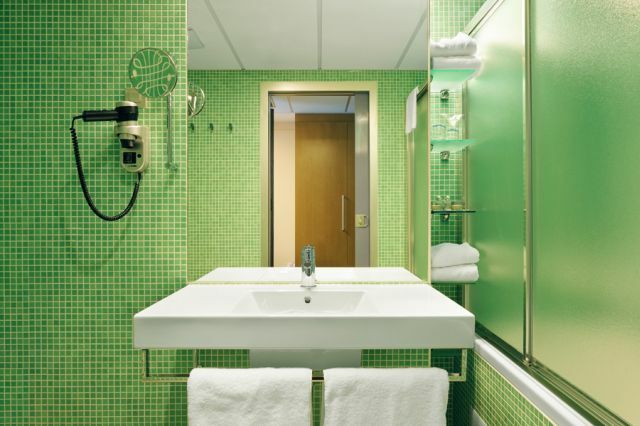 Capacity: 188 modern hotel rooms that meet the categorization of 4 stars superior. 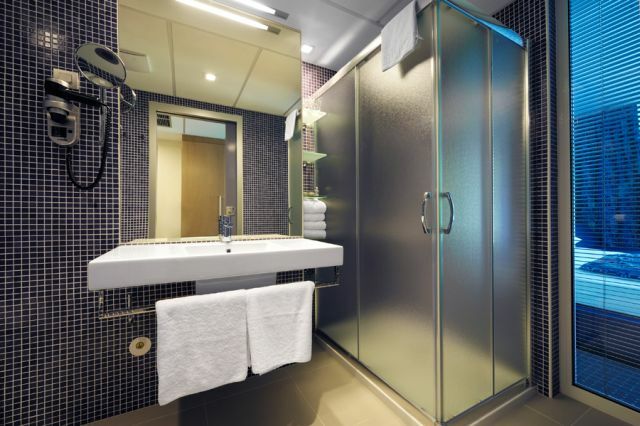 Modern equipped: bath or shower, toilet, hair dryer, internet access, minibar, safe, LCD TV, telephone, air conditioning and bathrobe. 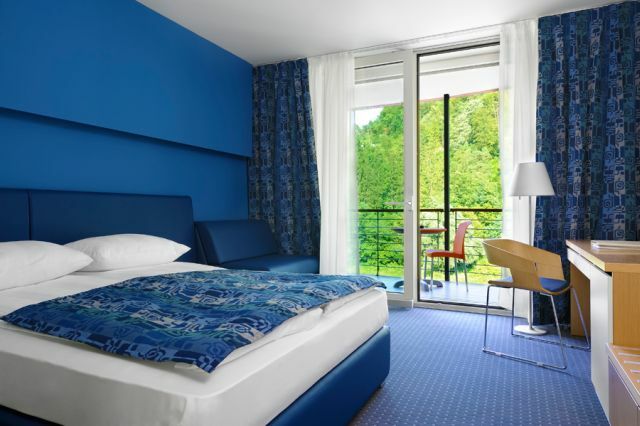 You can choose between room with balcony (comfort) and a view of the Savinja river (plus) in colors that have beneficial effects on mood ratings, green, blue, the orange or cream. Accommodation: apartments with or without balcony, double room without extra bed and a balcony (comfort) or without balcony (standard), single room with bed 160 x 200 cm and a balcony (comfort) or without balcony (standard), rooms for disabled prilalođena with balcony (comfort) or without balcony (standard). 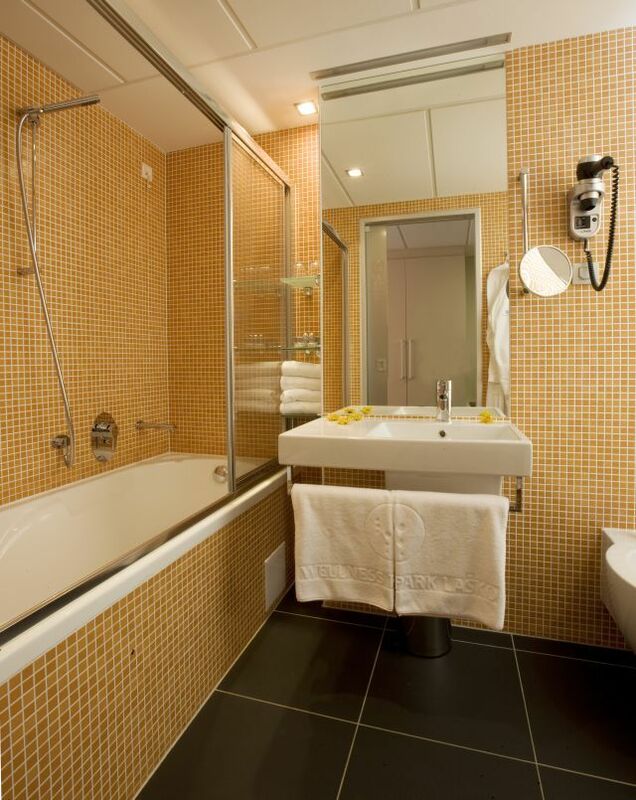 Some rooms are consistent with the requirements of Halal. 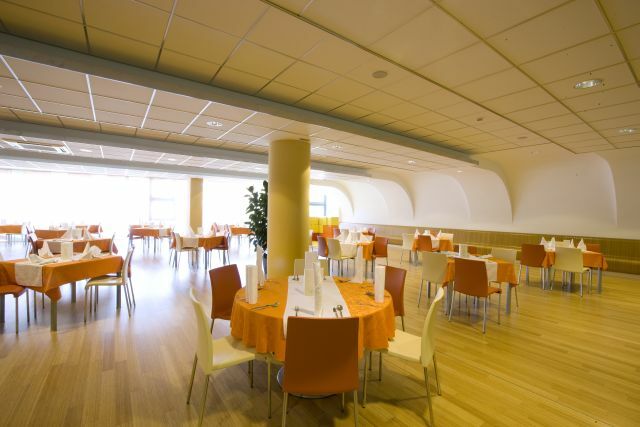 The hotel restaurant is available buffet breakfast with the preparation of hot meals before guests - the "front cooking". 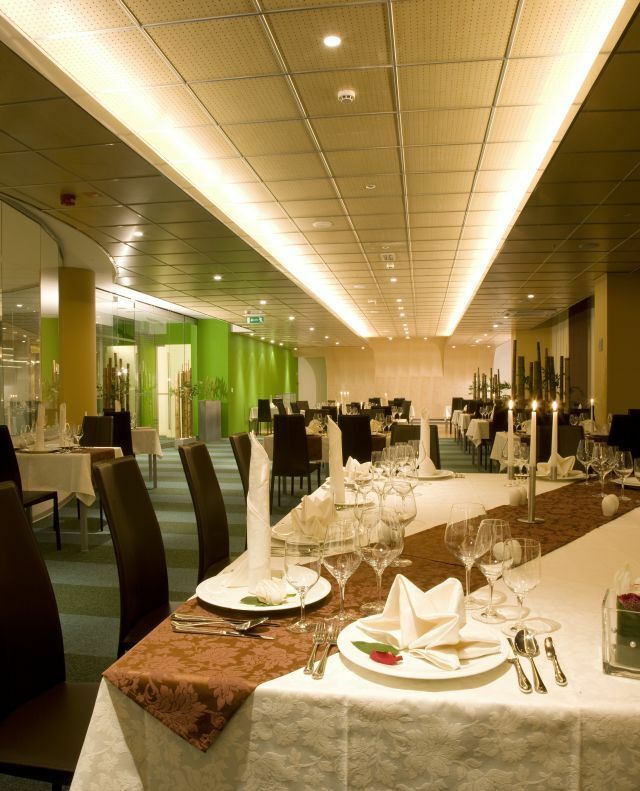 You can opt for dinner with a rich cold-hot buffet and a large selection of appetizers, salads, desserts and fruit. Breakfast offer from 07.00h to 10.00h and dinner from 18.30h to 21.00h. 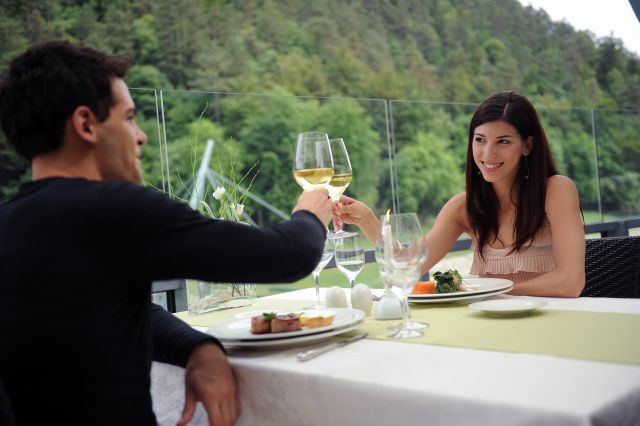 which is designed for all lovers of cuisine. Selected dishes in the menu put the seal of the principle of a healthy diet, which bodoposegali all who wish to healthy living style and proper eating healthy and live a full life. Our examiners wines we will assist and advise you to the summit prepared dishes selected appropriate wine from the rich wine Slovenian and foreign wines. Opening hours: from 11.00h to 23.00h. 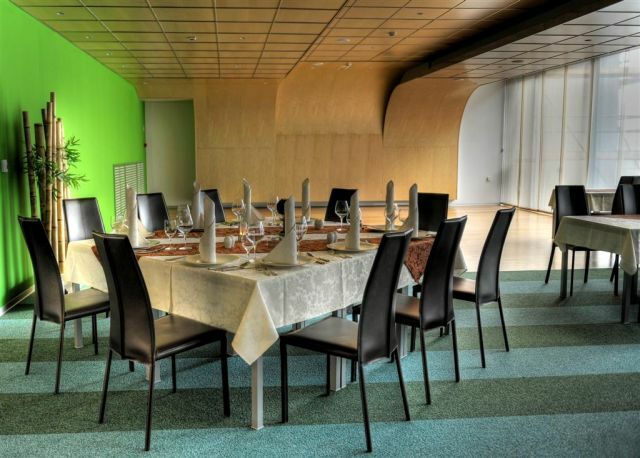 The rest aurant is located on the first floor in Thermal Center and has a 120 seats. 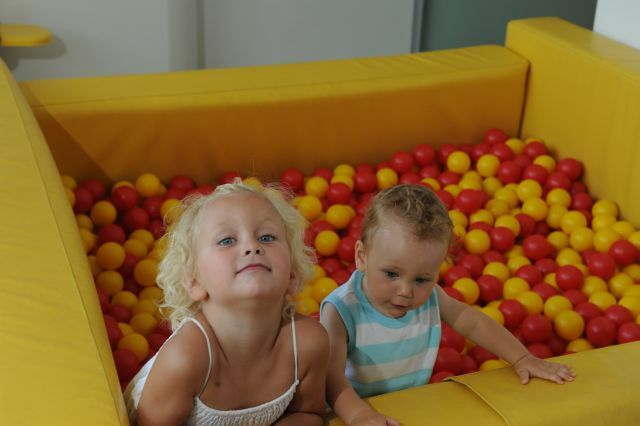 You can choose from a daily supply of snacks and lunches, from salad and sweet buffet. 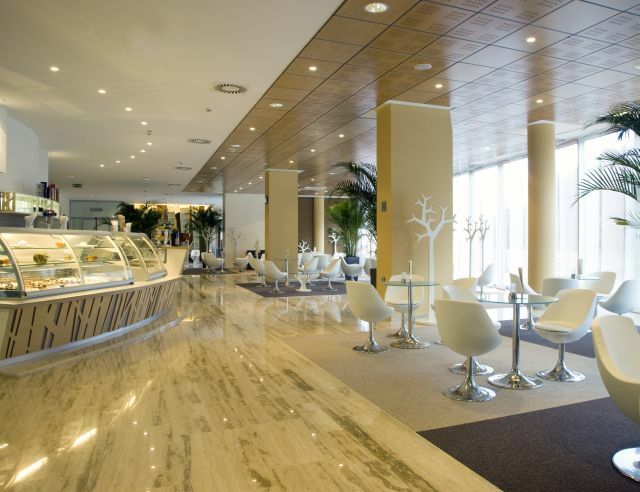 The offer is also enriched with aromatic pizzas, but chefs will also prepare the daily specials in front of you. 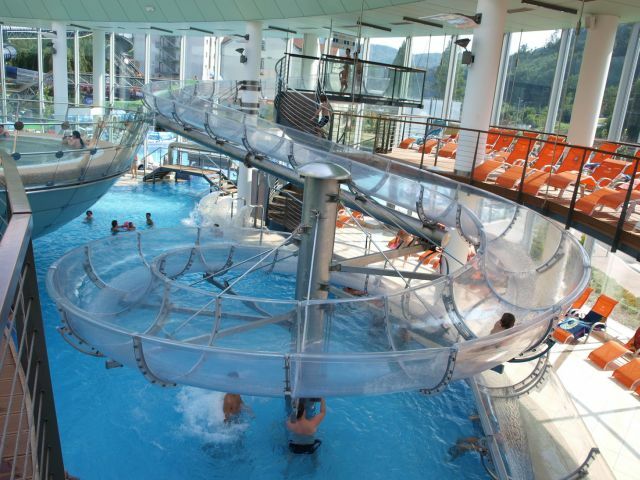 Bar is situated at the internal and external pools, where you will compensate the lost energy. We offer a diverse supply of hot drinks, soft and alcoholic drinks and light snacks. You will be able to select any of the delicious desserts or fresh up with ice cream. In Ayurvedic science nutrition has a primary place in maintaining a balance in the body. With the right combination and amount of food through certain parts of the day, when the food is consumed, we can maintain internal balance or even correct the imbalance, which has occurred due to the period in which we live unhealthy. Together with the chef from India we upgraded our cuisine and we prepare food according to ayurvedic principles. 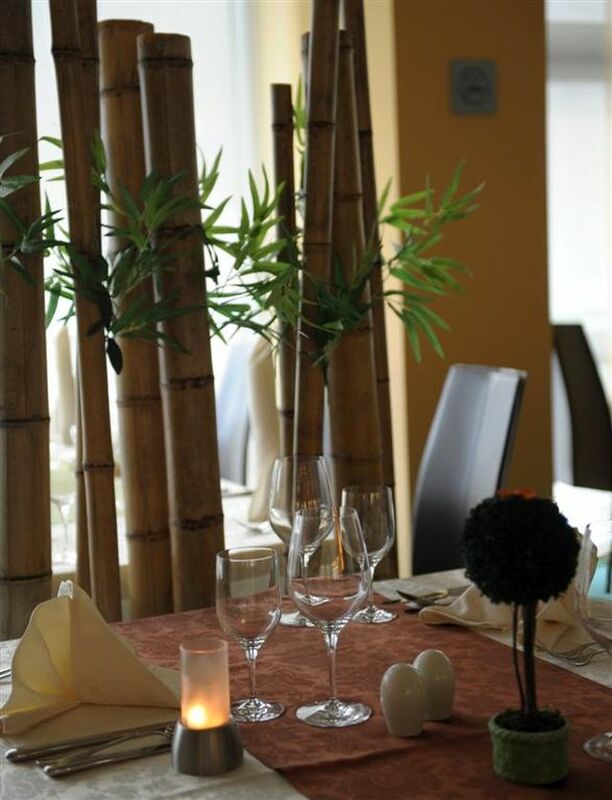 Ayurvedic menu is at your disposal also in À la carte restaurant of hotel Thermana Park Laško. 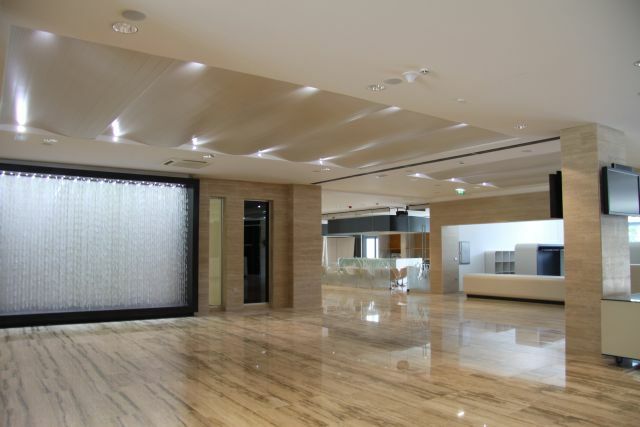 Fitness studio covers more than 100m2 area and is equipped with the state of the artequipment of the world's leading manufacturer Technogym, which belongs to the class of top-quality equipment for the home and professional fitness. Having a nice musical accompaniment, and the view of nature, you can practiceaccording to program that is tailored to your needs and abilities. For all those who ask for more, a personal trainer is available, who will create an individual program, whether for weight loss or for muscle gain, perhaps for recovery after rehabilitation, or simply for daily recreation. Numerous peaks in the surroundings invite hiking and offer fabulous views of the town and undulating hillsides of the surroundings. Organised and well-signed paths allow cycling, on the river Savinja, Gračnica or the Marof pond you can experience joy of fishing. Sauna Centre streches on 675 m2 with seven modern saunas, with the touch of the ancient Laško: large Finnish sauna in the form of a Kozjansko house, steam sauna in the shape of a brewers kettle, infrared sauna in the shape of a train wagon, Laconium with lind aroma, Finnish sauna which sybolizes the fire element, Finnish sauna which sybolizes the natural earth element and the latest acquisition- the outdoor Finnish sauna Crystal. 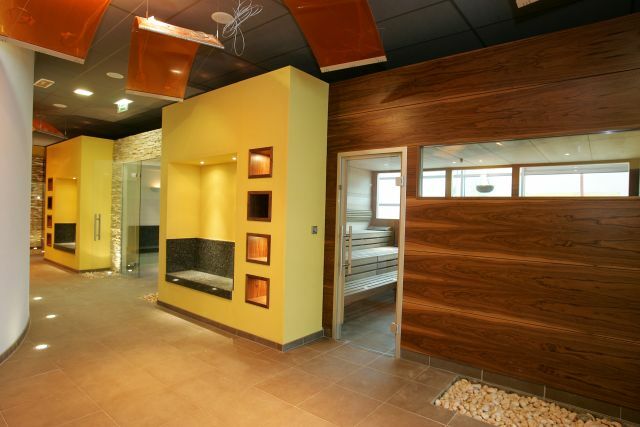 There are also two swimming pools in the Sauna Centre- cooling and massage, and two solariums. 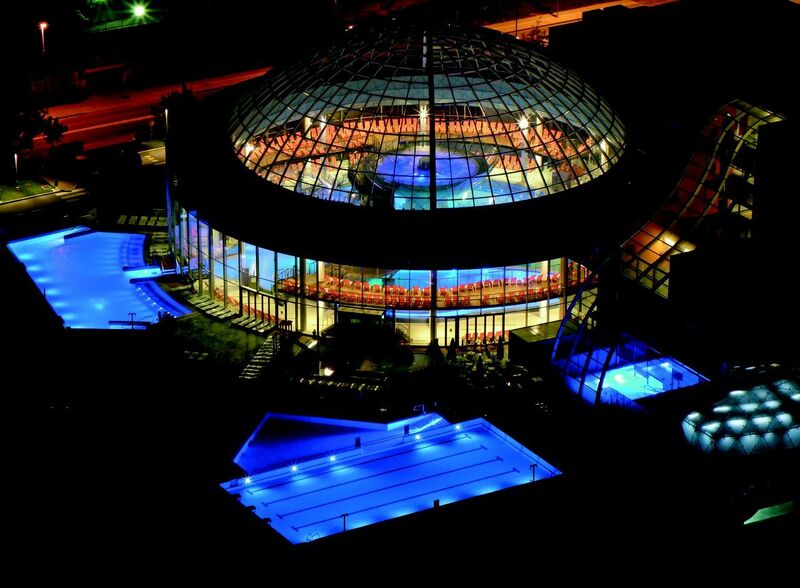 Detox body wrap in steam sauna''kettle"
The Wellness Spa Center - ambience of modern architecture - the entire philosophy is based on programs for relaxation and pampering. We know how to listen to the individual, his / hers desires and the search for harmony. 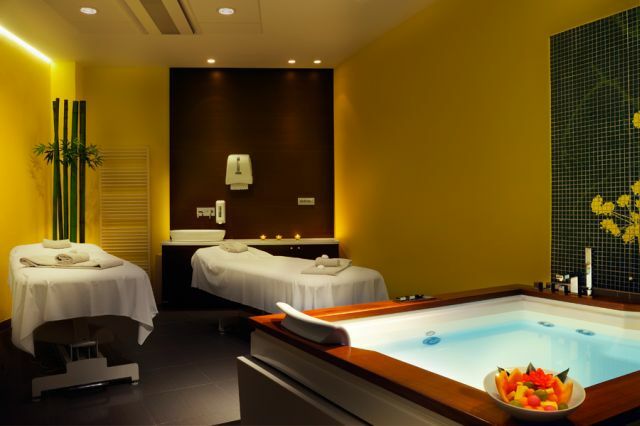 With us, everyone receives a comprehensive approach; spa experience in the true sense of the word. 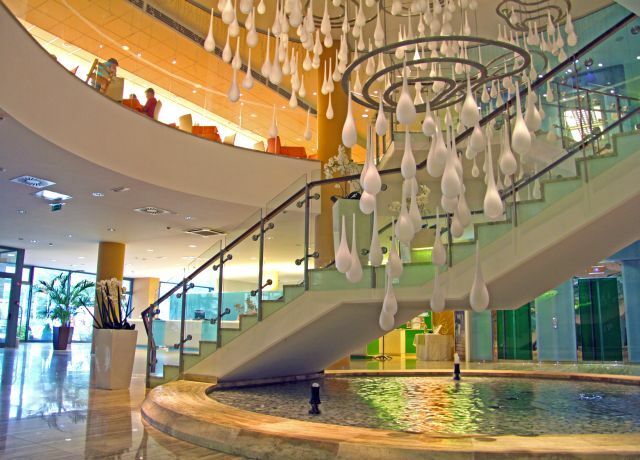 The offer of Wellness Spa Centre includes a wide range of services. We pamper you with special rituals, which are results of experience and knowledge of local therapists; body and facial treatments of recognized global cosmetic brands, themed baths with Laško healing thermal water, with the offer of aesthetic surgery, guided exercises, wellness birthday celebrations for young ladies, a real ladies day for little older ladies and ultimately unique novelty - a beer spa pampering. 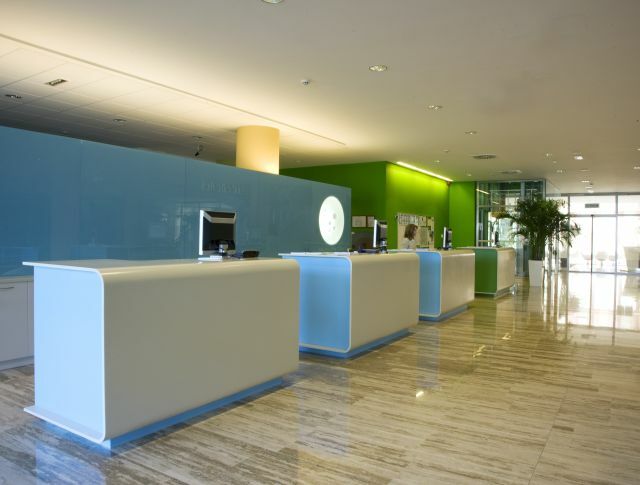 The wellness programs are upgraded with a hint of familiarity, so we want to show that we offer not only quality, but also unique treatments. 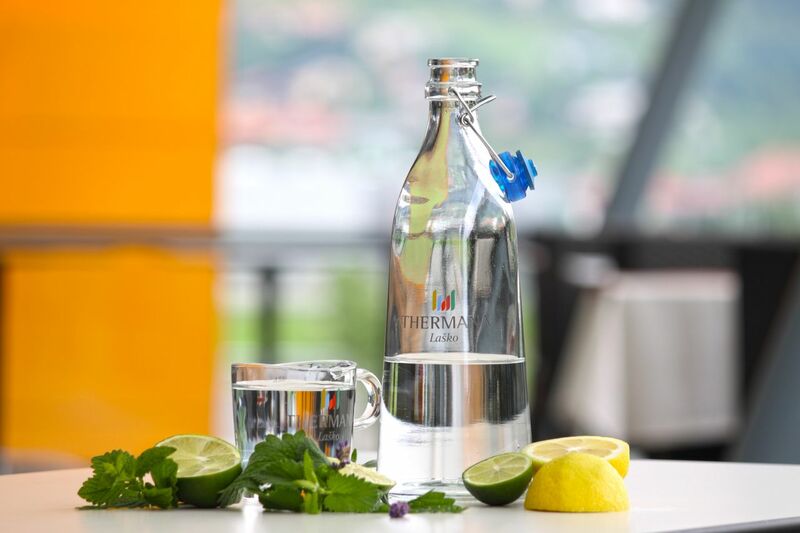 In Thermana Laško we are aware of the importance of wealth in nature, healing properties of natural ingredients, especially we respect the extraction from the local natural and cultural heritage. 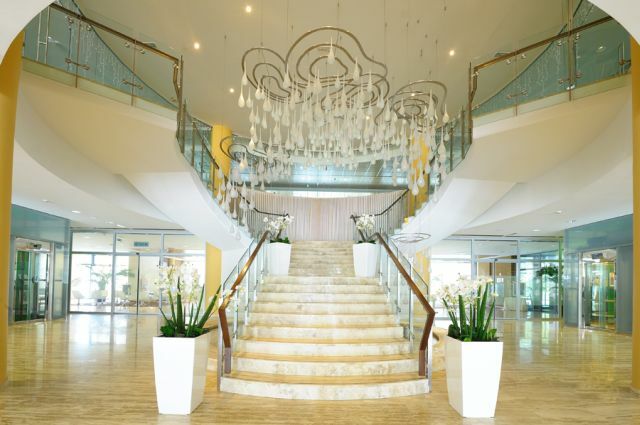 Enter our world... and experience your wellness. 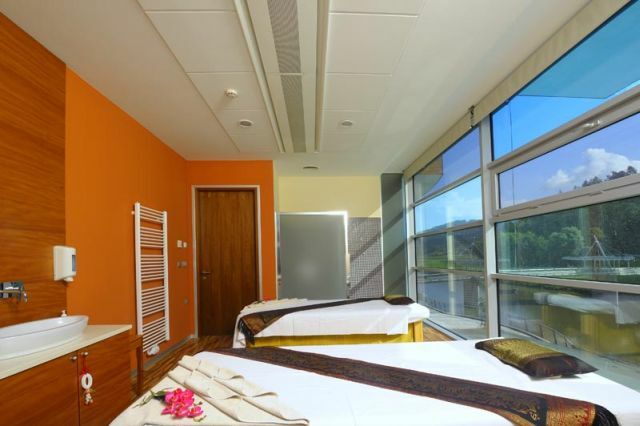 The offer of our Wellness Spa Centre has been enriched with the opening of the Thermana & Veda Ayurveda Centre. A rich variety of our Ayurvedic treatments and programmes are performed by a specialist in Ayurvedic medicine, experienced Indian therapists, a yoga trainer, and a chef of the company Veda from the south Indian state of Kerala, the cradle and centre of the worldwide Ayurveda. Our team will advise you on principles of a healthy lifestyle, and together you will choose the most appropriate programmes and therapies for you. Welcome to Ayurveda Centre Thermana & Veda, which offers a way of harmonious life as a combination of body, senses, mind and intellect and directs to a healthier lifestyle. On the path of health with Ayurveda! Ayurvedic medicine involves a comprehensive health care system that does not deal only with treatment of specific diseases, but also examines the human relationship to the body and mind resulting from his lifelong belief. All physical and mental - spiritual functions in our body are lead by three basic forces called doshas: Vata - energy of movement (formed by space and air), Pitta - the principle of digestive processes or metabolism, transformation of matter into energy (formed by fire and water) and Kapha - energy of structure (formed by water and earth). When the doshas are in ratio, a person is healthy. Ayurveda treats in a holistic way, it teaches you how to live in harmony with nature and helps you live a healthy life. It covers all aspects of health, as it promotes physical, mental, emotional and spiritual well-being. Thermal water is a natural healing factor with a temperature of 32 to 34 ° C. With its soothing heat it relieves pain and facilitates movement. 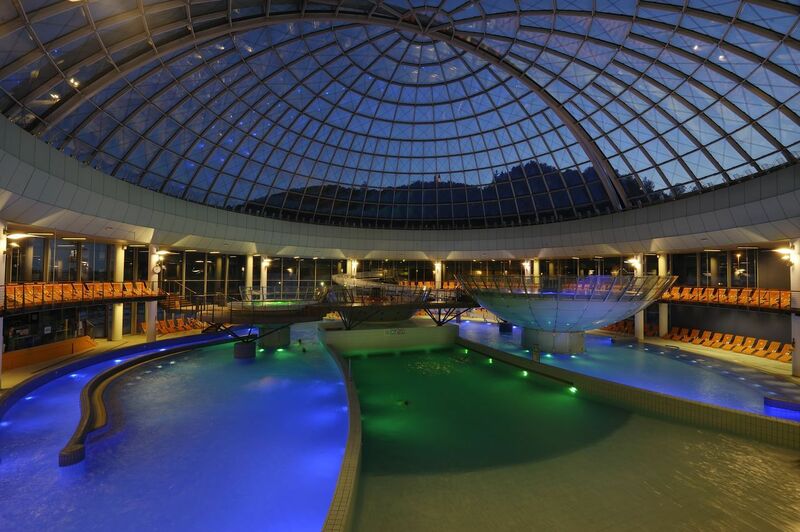 Composition of Laško water is formed of crystals that show that our thermal water radiates a powerful life energy, has a positive incentive effect on human, works beneficially on the psyche and balances body and soul. 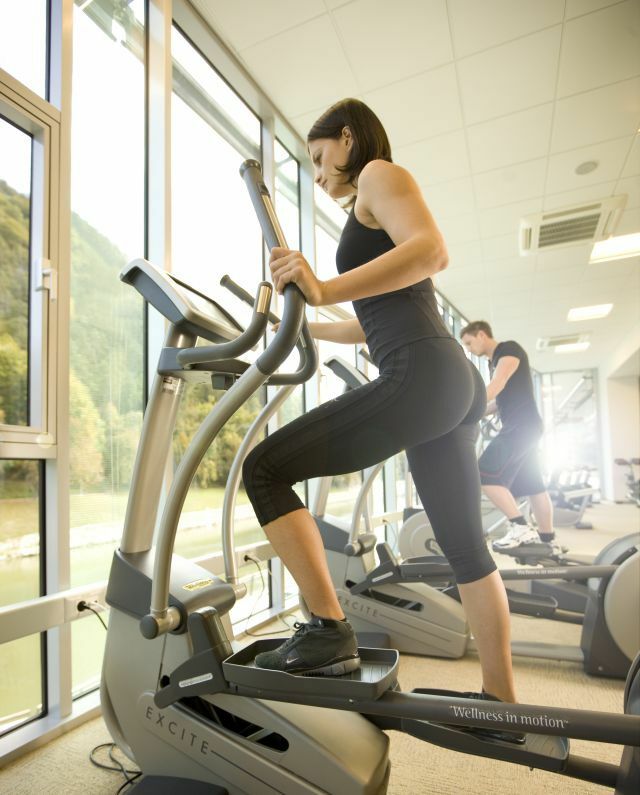 With its stimulations it is acting on the balance and strength of the the body. Water helps to detoxify the body, reducing its acidity, works as a mild laxative, improves the biological environment of cells and intercellular communication. Medicinal properties of Laško water have demonstrated through decades in the use of water for therapeutic purposes in balneotherapy. Recent research has shown, however, that the water Lasko suitable for drinking. 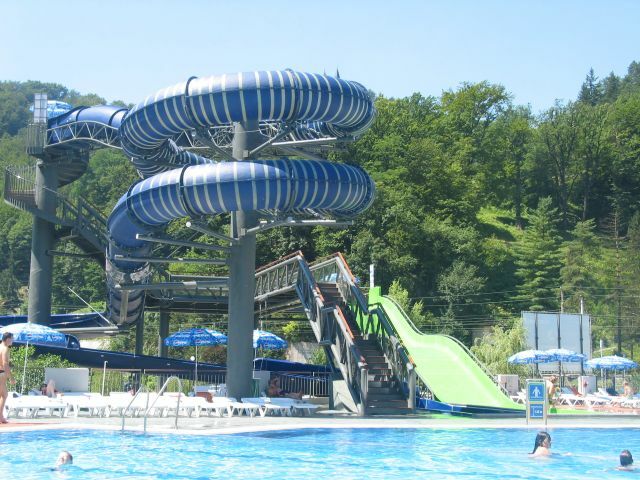 Laško water comes from a depth of 160 meters, according to its the mineral content and temperature it is acrato thermal, alkaline calcium-magnesium, sodium hydrogen carbonate water with temperature of 32 degrees Celsius. The mineral content shows that the thermal Lasko water is water, which ihas ran in the subsurface for some time and its path dissolved dolomite, calcium, magnesium and silica. 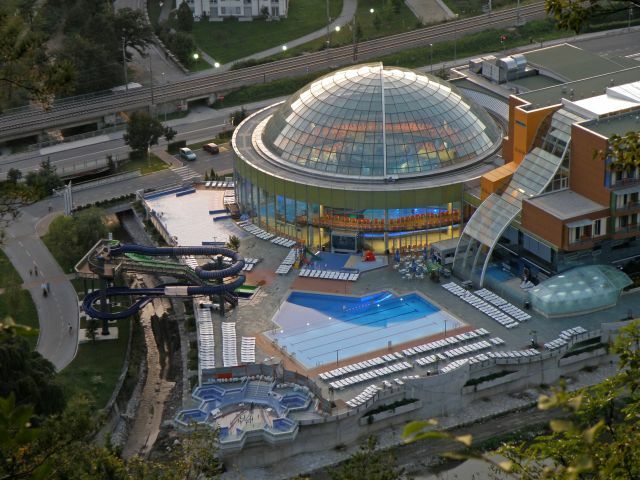 The total mineralization of water content (substances dissolved in water) is 278 to 295 mg / l, which ranks the Laško Thermal Spa Water as a medium-mineralized water. In studies of the biological effects of Laško water at Bion Institute, they have found that the Laško water has biological perfectly functioning biofield, which is stable, harmonious, cohesive and vitalising. It has a positive motivating effect on humans. Positiveness of Laško`s thermal water subtitle field is shown by stabile and fine shaped water crystals, which had been photographed by Bion Institute with the method of world-known researcher of water crystals and water memory - Dr. Masara Emota. In interpreting the crystals they derived from the findings of dr. Emoto, that there is a correlation between the shape of the crystal, and the content of the information. Crystals of Laško thermal water are exceptionally well formed and they form a correct hexagonal structure, which says dr. Emoto, is essential for the expression of positive information. To proof all beneficent effects of our thermal water which has allready been proved throuhg years, we have decided to do additional research. In cooperation with the BION Institute, our thermal water has been through chemical analysis in the last year and many other analyses too. All researches proved its positive biological effects. The basic pufpose of researches has benn to establish biological effects of Laško`s thermal water, especially in the sense of imprinted in water subtle field or as we rather say bio field. At the same time a thorough chemical analysis had been carried out made by Activation Laboratories (www.actlabs.com) with headquarters in Canada. Based on the method of dr. Masaru Emoto, the Bion Institute made photography of water crystals of Laško`s thermal water. In Laško warm water mediates on the surface through Triassic dolomite, which lies on impermeable Early Palaeozoic sandstone and clay schist. The sources of the thermal water on the surface, under quaternary deposits respectively, are in close vicinity in a five hundred meter wide dolomite belt with impermeable sandstone to the north and pseudo-artery schist to the south. By making wells it was discovered that the underground water appears in more horizons and that deep down there exists a connection between waters on the left and right banks of the river Savinja. 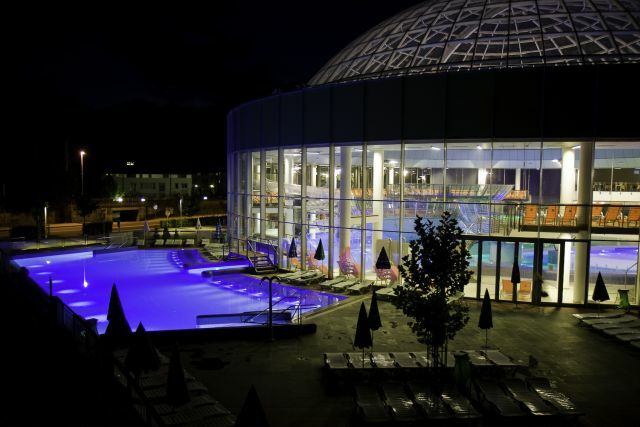 From the well in the vicinity of the Laško Health Spa we pump acrato thermal, alkaline calcium-magnesium, sodium hydrogen carbonate water with a temperature from 34,3°C to 39,4°C. metaborite (HBO 2 ) and mestasilicic acid (H 2 SiO 3 ). 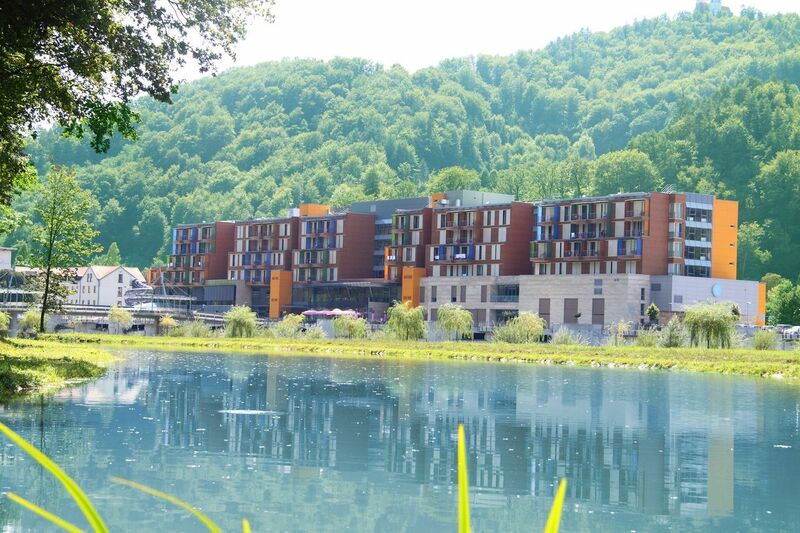 The very first researches made by Bion Institute indicated high quality of bio field of Laško`s Thermal water, which undoubtedly has positive effect on bio field of organisms. This is of great importance with a period of convalescence as with regeneration and with healing. Salutary ionic structure had been pfoved in Canada with thorouhg chemical analysis. 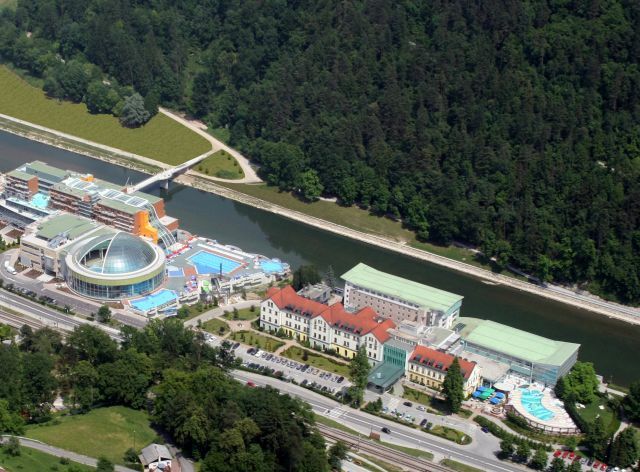 Due to all the positive and stimulating properties of Laško thermal water, it is highly recommend for drinking. Anyone can drink Laško thermal water at its own judgement. In terms of energy, it is recommended to drink up to 2 liters of water a day. The amount of water should be divided into smaller doses of 2 dcl throughout the day. Drink sips of water. Before you drink it , hold it in your mouth for a while. 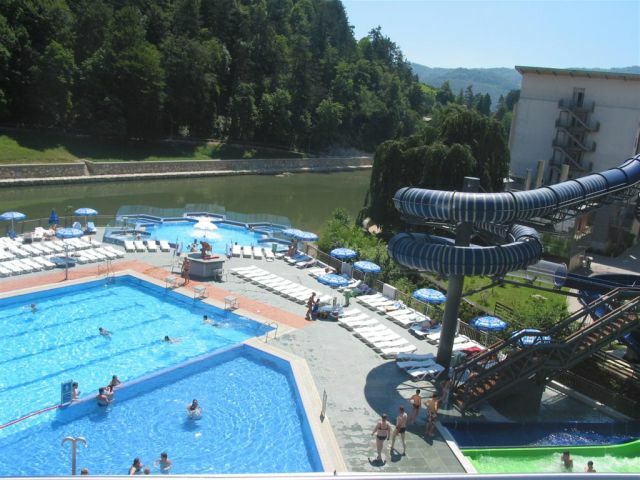 The hotel is situated in the midst of a quiet park beside the River Savinja, a mere 15 minutes walk from the town centre. 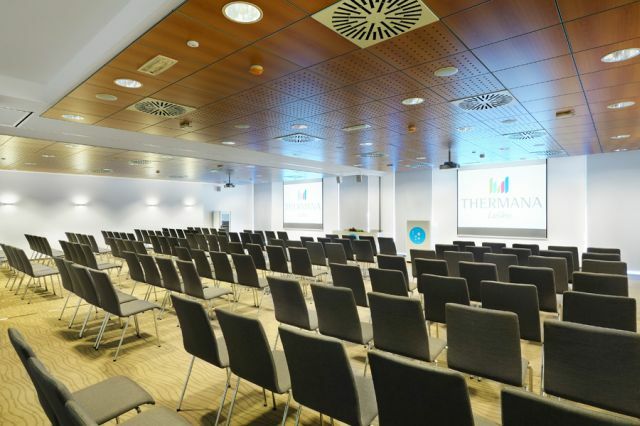 Hotel Thermana Park Laško**** Superior have been granted the European Ecolabel which is recognised in the European Union and Slovenia as an official environmental protection designation. 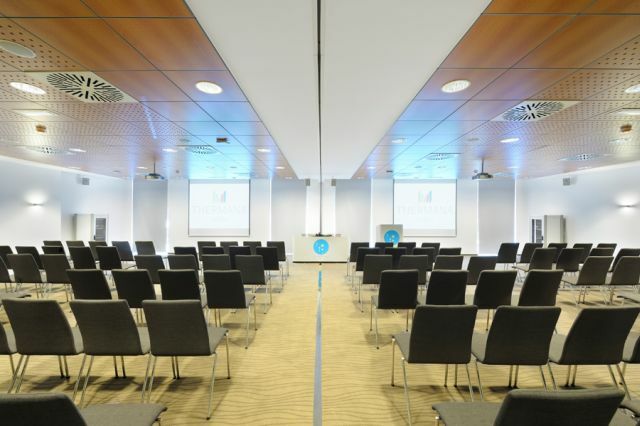 At 3.700 m2 you can choose from seven modernly equipped congress halls and threeconference rooms on two floors. 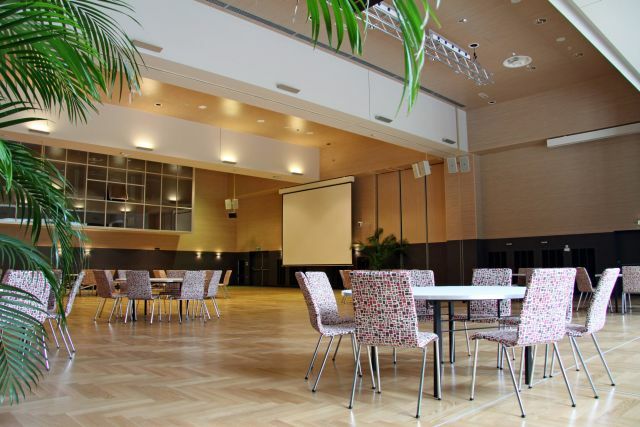 The Golden Hall is a delightfully cosy venue with natural daylight. 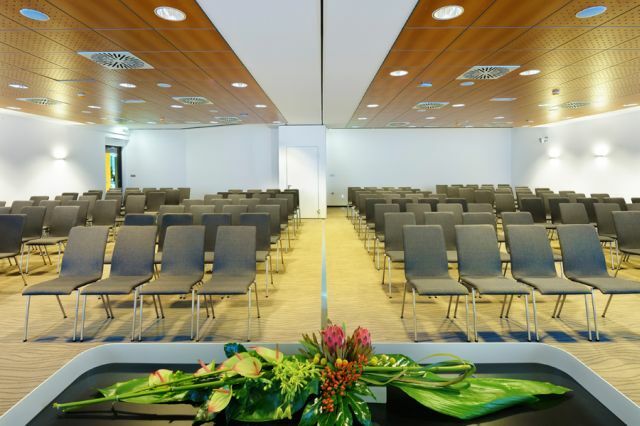 This hall will satisfy even the most demanding guest. The hall is adorned with magnificent murals that give it a distinctive character and a very special golden ambience. Coffee and light snacksmay be served in the hall during your meeting. 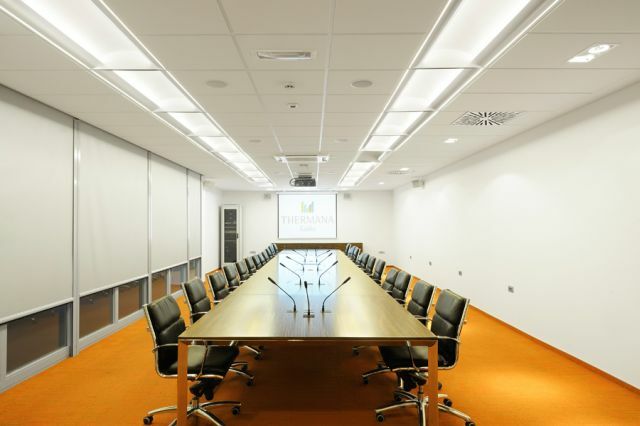 Thermana Laško presents you a brand new Club concept - Thermana Club, which presents rewarding of our guests with special benefits. Anyone who respects and understands the culture of healthy living can become a member of the Thermana Club. Vodomček Club is avaliable for children. Due to its position Laško is an ideal starting point for your tour of Slovenia. 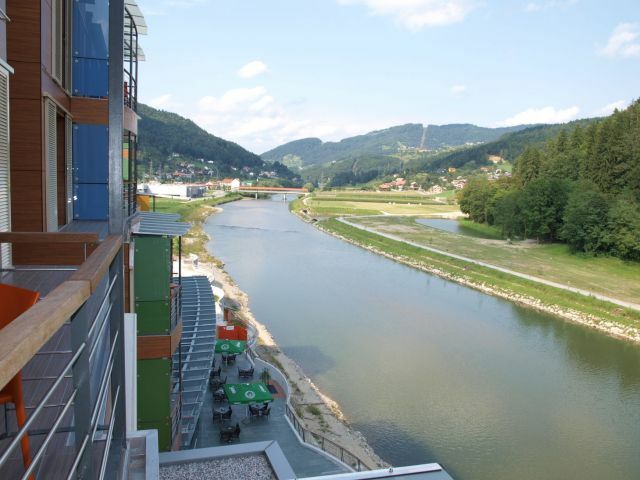 The town lies at 228m above sea level and through it flows the river Savinja. By foot visitors can discover the beauty of the old town, which dates back to ancient times and is the pride of the local people. 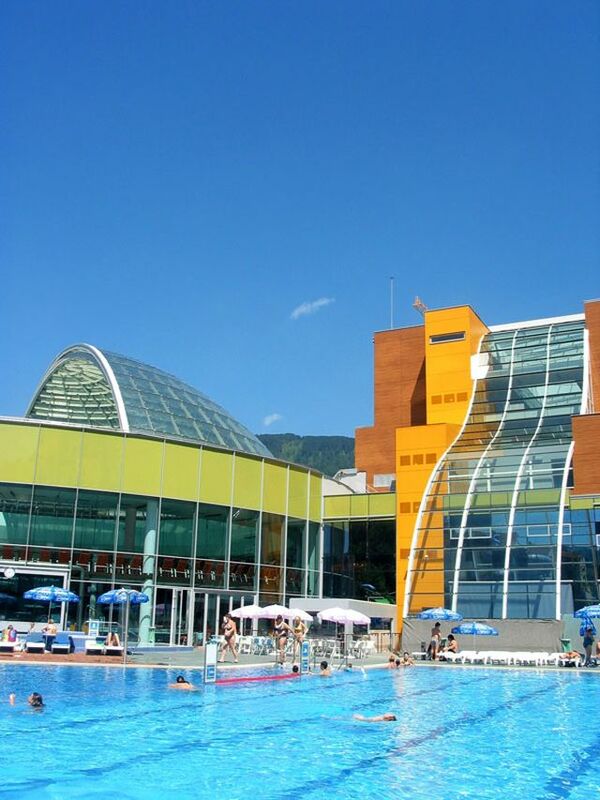 Despite the proximity of the modern world and the ancient center, life in Laško is running as everywhere in the world. Maybe even less hectic. All those who have not seen Lasko miss the opportunity to get to know the city that provides the beauty, warmth and harmony. rent a bike and Nordic walking.